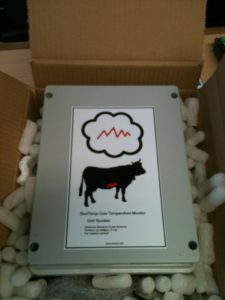 We were asked to develop the hardware for a cow temperature monitoring system. The core was an internal bolas, containing an RF transmitter and temperature sensor. The lucky cow is persuaded to swallow this and it rests in the rumen (ruminant stomach). 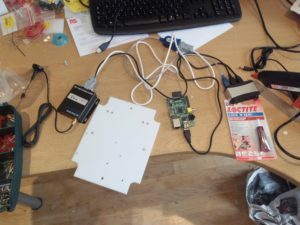 The part we developed recorded the temperatures using a Raspberry Pi and transmitted data to a central cloud server. From there you could graph temperatures over time and set alerts so the cowhand or vet could get SMS messages and emails if the cow’s temperature went above or below certain values. 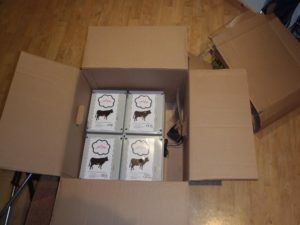 It turns out that temperature alone isn’t a good way to monitor a cow’s health so this was an interesting idea that our customer didn’t take any further. However if you want to monitor your herd, go to http://ecow.co.uk . 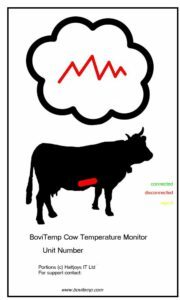 We aren’t related or connected with ecow, but they do produce a temperature/pH monitor and have backed this up with research to optimise the health of your cows.